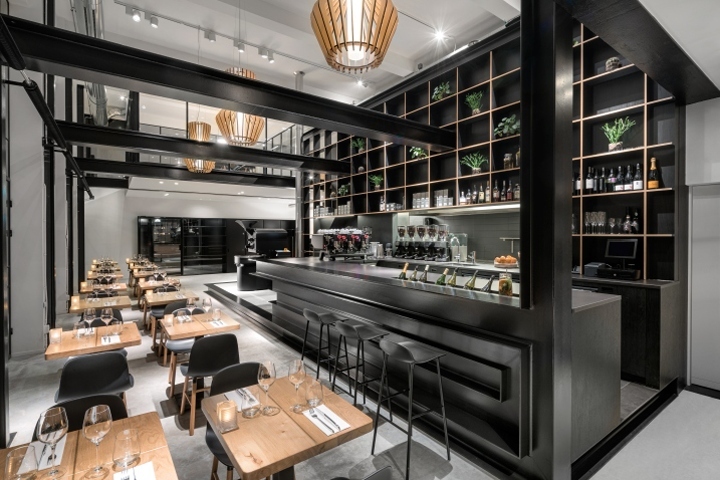 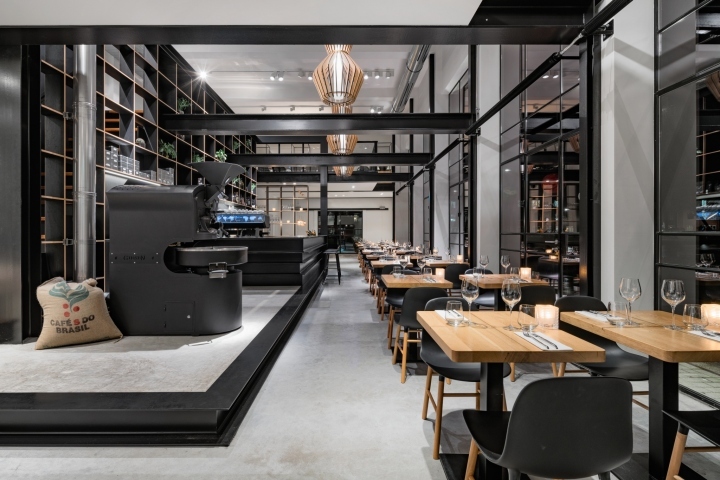 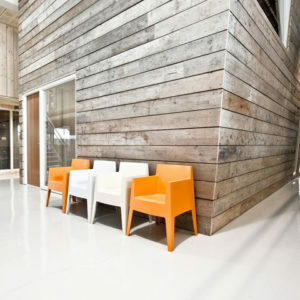 Amsterdam based architecture studio Bureau Fraai has converted a former paint factory in The Hague into a coffee bar, restaurant and business centre with a fully steel bar element as an interconnecting eye-catcher. 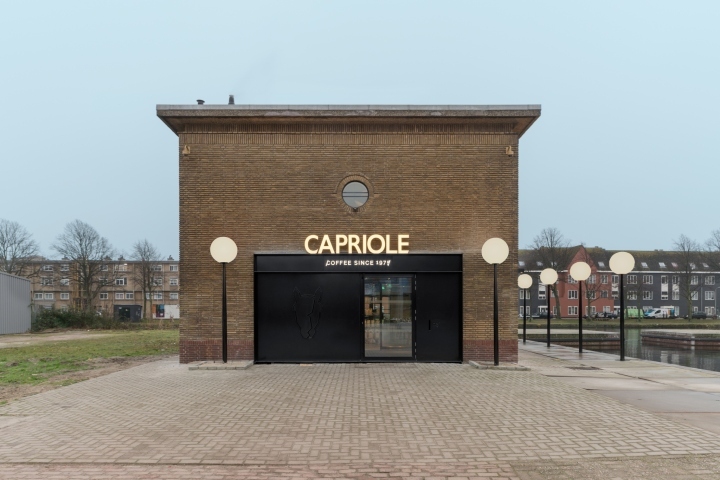 The restaurant and coffee experience named Capriole Café is one of the first hospitality concepts in the upcoming industrial neighbourhood the “Binckhorst” in The Hague, which will be developed into a residential and business area the coming decade. 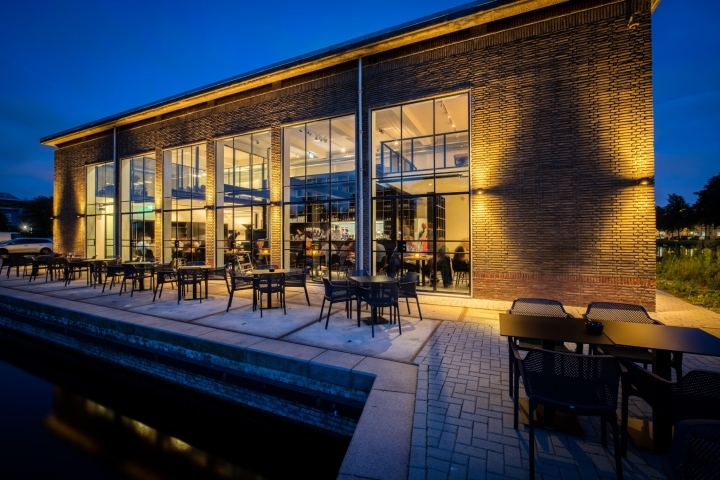 The existing small windows of the building were replaced by 5 meter high steel window frames with doors opening up the interior towards the terrace and marina in front of the café. 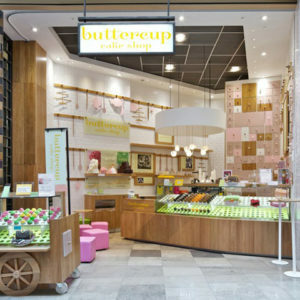 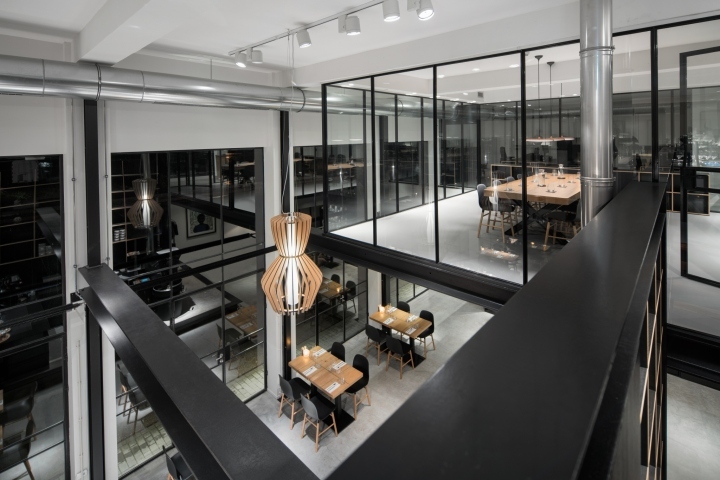 The main goal of the design of the café was to create a total experience of every aspect of the making and consumption of “coffee”. 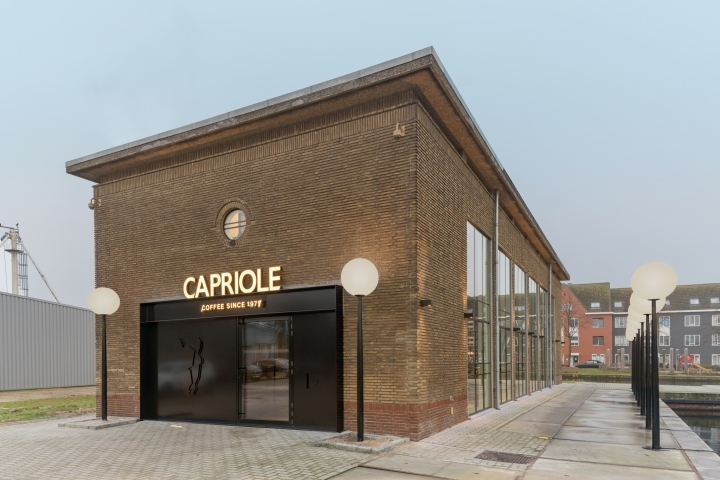 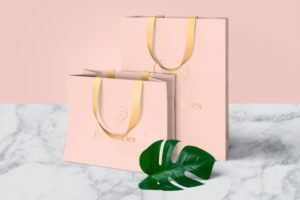 While the ground floor functions as a coffee roastery, coffee bar and restaurant, the first level contains a barista training centre, a showroom, an office and a meeting room for Capriole Coffee Service. 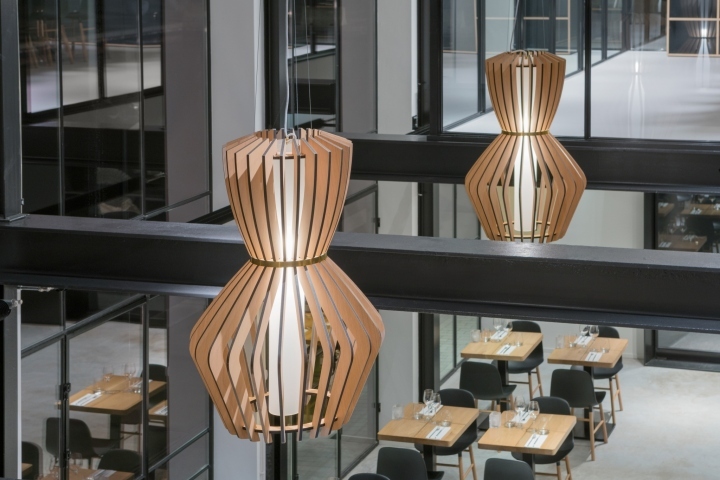 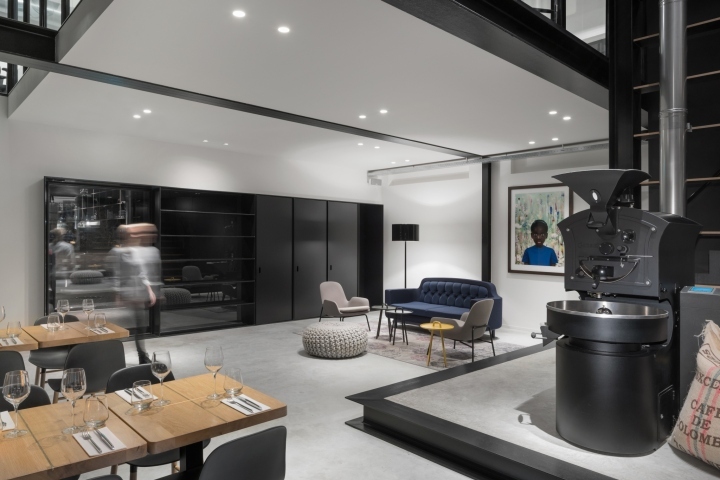 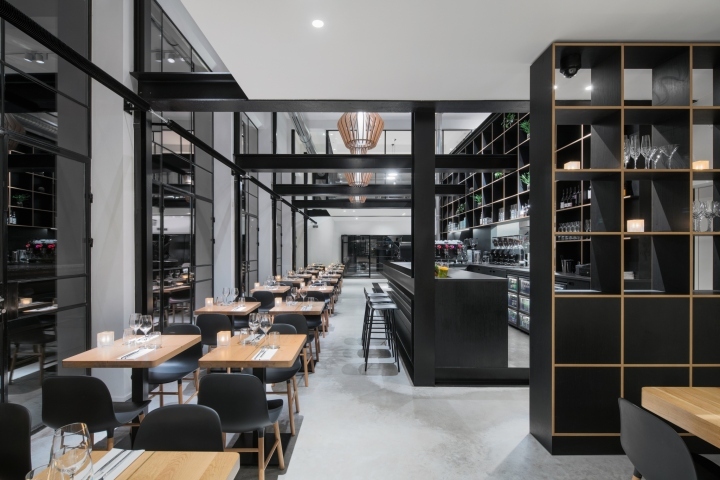 By introducing a central void with a 4,5 metre high black steel bar element, these two levels were visually connected with the meeting room as “lantern” overseeing the restaurant . 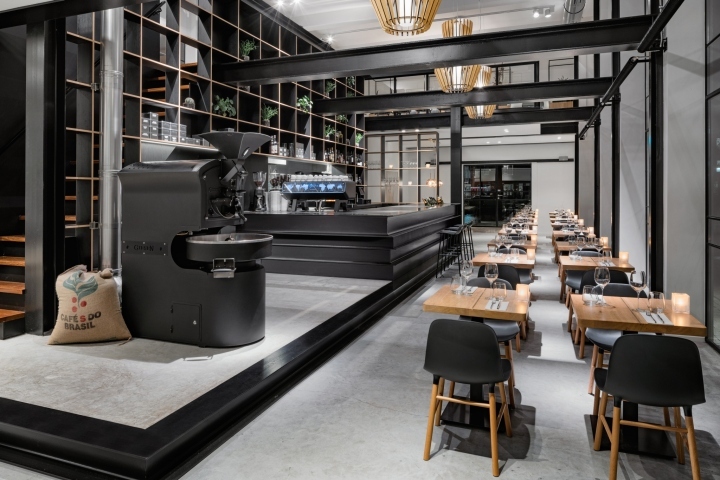 The prefabricated interconnecting bar element is completely composed of heavy structural steel beams and frames the roastery downstairs and the barista training centre upstairs. 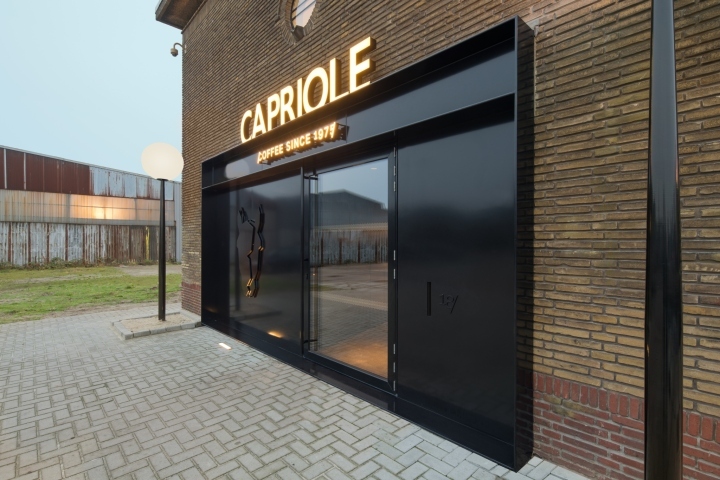 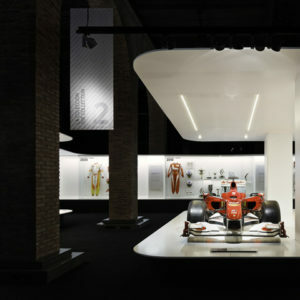 Also the entrance volume containing the Capriole logo, the toilets, and wardrobe is completely composed of steel. 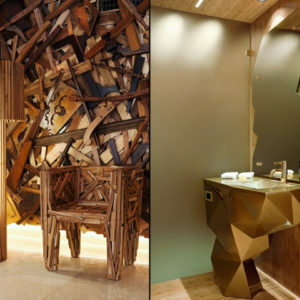 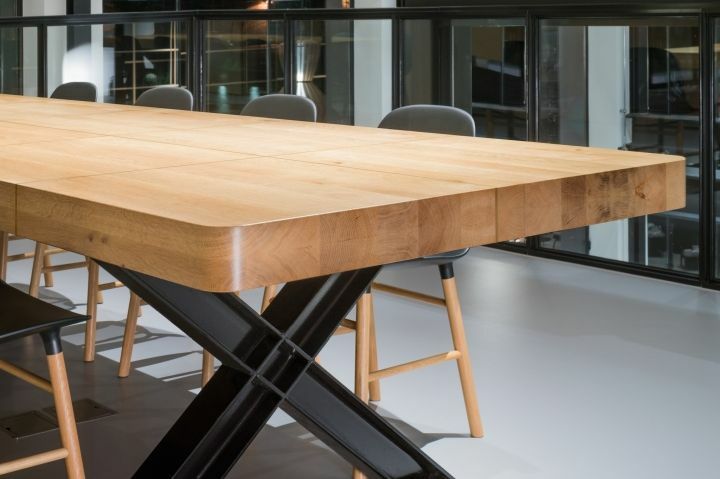 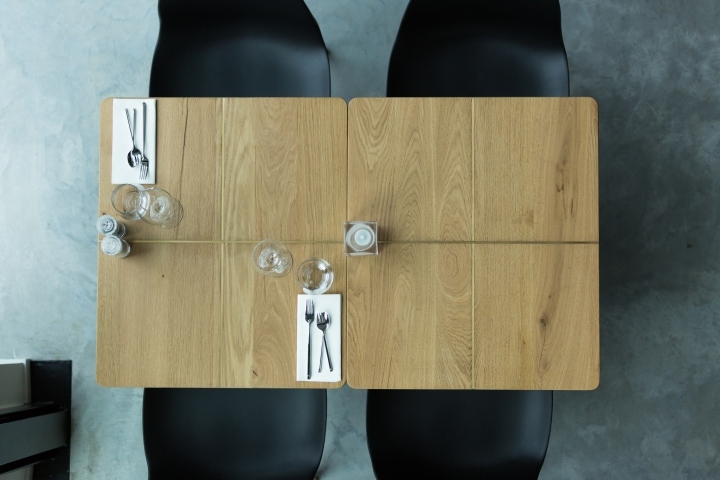 In contrast with the black-and-white interior, the designers introduced oak and brass in their designs for all the tables and the cabinets. 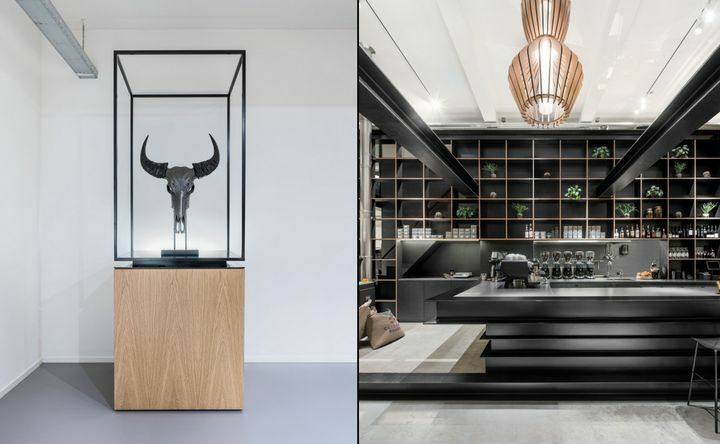 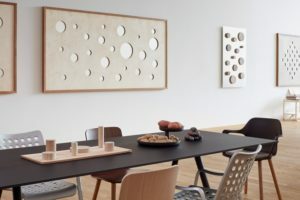 Also the hanging lamps in the void and the pedestals presenting the companies future high-end coffee machines were custom-designed by Bureau Fraai.